Are you wondering what the benefits of blogging really are? I know that I wondered if it was int eh beginning of this whole online business thang! Now though, I can safely say that it has been worth every moment that I’ve spent creating content and learning how to streamline the process and get the most out it for my businesses. I did in the beginning fluff around a bit and if I had quit then, I would have said that it didn’t help my business, so really be careful who you listen to. This for me has been a game changer. Blogging increases your traffic. If you’re creating content that your readers are wanting and content that is SEO optimised, you will see an increase in your traffic. The most important thing here is to create super valuable content, make sure people are searching for it and share it in the right places. I have found Pinterest has been the best traffic source for The Inspired Boss, followed by Google. Learning how to make Pinterest work for your business and blog is so valuable. I love how you can get traffic quite quickly with Pinterest and I have used that to my advantage whilst I gain credibility with Google. SEO is definitely a slower process but in the long run, you’ll be getting traffic that’s specifically looking for what you have to offer. Pinning Perfect from Blog Clarity is a great course to help you up your Pinterest game! Generating an income is the aim of every business. Blogging is a good way to do that. If you can provide content that is insanely valuable, you’ll have people throwing money at you (ok, maybe that’s a little exaggeration but it does help!). Show them what you know and how you can help them and you’re more likely to create sales. Affiliate marketing is a passive income stream that you can add to any business. If you have products that you love that you know your audience will also love, then affiliate marketing might suit your business. For example, if you’re weight loss coach and you know of an exercise program that your clients could use and get results from, then see if they have an affiliate program. You can then create content that will help get traffic to that product. This could be in the way of tutorials, reviews or other more generalised content. When someone clicks through and makes a purchase, you receive a commission. I love affiliate marketing. I believe it’s the only truly passive form on income out there! If affiliate marketing is something you want to explore, I can’t recommend this course, Making Sense of Affiliate Marketing, enough. It’s been absolute gold for me and is the course that I earnt the money back the quickest! It’s an absolute must for any blogger. Why not create digital products that you can sell in your business or blog? For example, if you’re a graphic designer, you could create social media templates and a blog post ‘How to create an awesome social media presence, without wasting time’. The post could give the reader ways to spend less time on social media, leading into purchasing your digital products. See how you can be linking your products and services into blog posts? There are so many products you could create and sell within your business. Here are 5 digital products that would help you increase your revenue streams. This one’s important. How often do you land on a blog and think the author must be an absolute expert in the field. After all, they’ve written so much content and showed that they know what they’re talking about. Sharing your knowledge with others helps you gain that credibility. A blog is a perfect platform to share your knowledge and increase your credibility. I think this is a huge benefit of blogging within your business! This is something that I’ve noticed! I was NEVER a ‘writer’. I almost completely failed English at school. I was told that it wasn’t my thing and that I should focus on the sciences. maths and sport. So I did. And I walked with that ‘knowledge’ for the next 20 years. I am not saying that I’m a great writer, I don’t even think I could be classed as a good one but I’ve most definitely improved! It’s opened so many other doors of creativity and for that, I’m eternally grateful. Even if you also class yourself as a ‘non-writer’, I urge you to give it a go. You might be surprised. 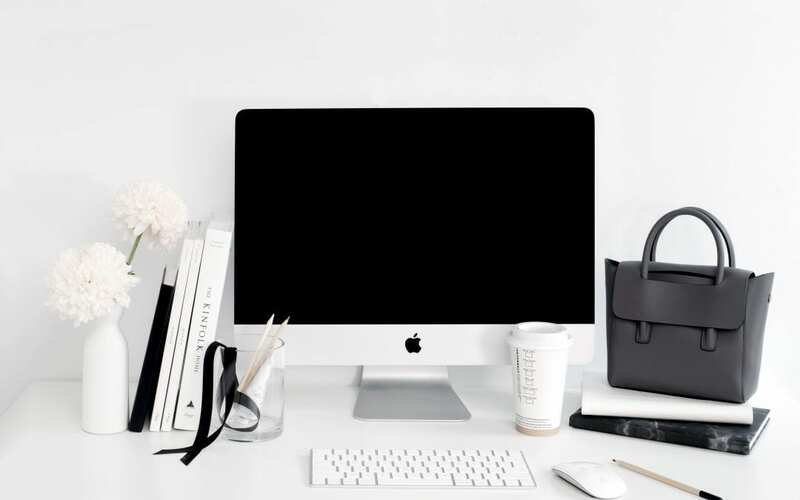 This is along the same lines as gaining credibility but if you have an engaged audience with a platform to share blog posts, then you could be approached (and paid) by brands that would benefit from getting their products or services in front of your audience. I believe this is growing in the blogging world. Big brands are spending more and more with influencers because they’re seeing results. Huge results. If you do have an audience then start reaching out to brands that you want to work with. Create a pitch and start using that as another income stream. The worst they can say is no and then you move on to another brand. Eventually, you’ll have brands contacting you. If this is something you want to explore, I recommend this course The Micro Influencer Handbook. It’s a great way to get started in influencing. Google is the best source of qualified traffic, meaning that the readers that land on your site are wanting what you’re offering. After all, they just searched for it! They are more likely to buy and increase your revenue. Blogging can help you improve your SEO for keywords that people are searching for. Google also likes a website that’s being updated regularly. It knows that it must be relevant and up to date. Blogging helps you update your site frequently, every time to publish a post that’s an update. Start researching for keywords that your target market is searching for and then create valuable content using those keywords. I use KeySearch for keyword research. Building my email list is my main goal in business. It’s the only platform that I own and it gives me the best reach. I know that 30-40% of my audience is going to open the email. That’s so huge and far better than any other platform. With your email list, you aren’t affected by changes in algorithms or other changes that can happen with social media. 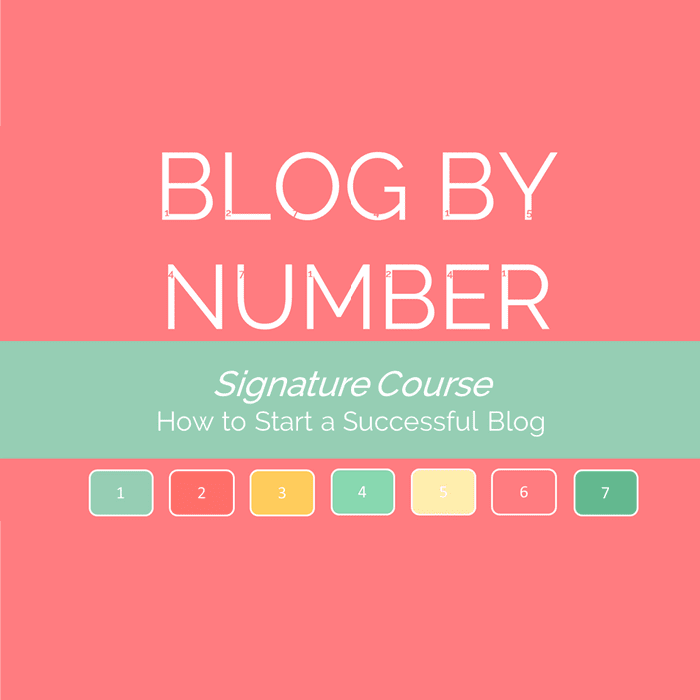 Are you wondering how blogging can build your email list? By creating content upgrades within your blog posts. For example, if you create websites for others you might create a content upgrade like ‘A Checklist Websites that Convert’. You could then add the email subscriber form to any blog post that you think that reader would be interested in. You can create as many of these as you want and you’ll find that your email list will start blossoming! If you haven’t started your email list yet, I suggest you use Mailchimp (it’s free for under 2000 subscribers) or Active Campaign, it’s quite affordable when you have a small list and has so many more functions than Mailchimp. I also recommend creating your freebie opt-ins in Canva or Illustrator. Sharing your knowledge is easy to do with blogging and when you share knowledge that truly serves your audience, you’ll gain trust with your readers. They get to know you and trust what you have to say. They will then trust that they can spend their money with you and benefit form it. When you create valuable content on your blog, it gives your reader an opportunity to share it with their friends on social media. They probaly won’t just share your products or services but they are likely to share great content. This is a great way to organically get more eyes on your business and blog. Like I mentioned before, I have improved my writing skills with blogging but I have learnt so much more! I’ll share my blogging and online business journey with you. Back in 2013, I started a sewing blog. Sewing was my passion and there was such a beautiful online community that I wanted to be a part of. I didn’t have real-life sewing friends so this was how I made sewing friends. It was a hobby so I didn’t want to spend a crazy amount of money so I taught myself how to create a website. I googled and spent time on YouTube, learning all that I could. I got a website up and was damn proud of myself. The world of social media opened up for me and again, I learnt all that I could. I got good at it and I loved it! I soon became the ‘go-to’ digital girl with my offline community and then online community. I tinkered with that blog for a couple of years but found it hard to keep up with the sewing, blogging and my baby girl. At this time I also started learning about fabric design and Illustrator. I now use Illustraotor daily in my businesses. That’s when I first thought about offering services online. I had been dreaming about generating income online with the goal of being able to travel (this is something that I’m still working towards and it’s now pretty close to reality!). I started my social media management business. Again, I learnt all that I could and used the skills that I had already learnt and was able to serve other businesses in the meantime. When I started this business I relied on so many online courses and that was how The Inspired Boss was born. 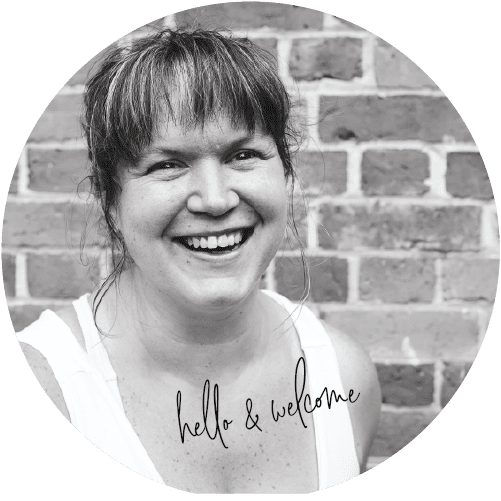 I spent so many hours sifting through courses and thought having them all in one spot would help other business owners sort through them all! So, there you have it, that’s how blogging taught me so stuff and I was able to generate income from it. If people love what you share with the world, they’ll stick around and continue to listen. Once you have a few people like this, you have a beautiful little community that has come together because of you, your blog and your business. This community is more likely to make more than one purchase with you so it becomes very valuable for your business! Once you gain credibility and trust, you might notice that other opportunities present themselves to you. You might be approached to be a speaker at an event, you could attract new clients and perhaps be able to offer new services to your clients. There are so many opportunities out there and I think that having a blog will help them present themselves to you. When you’re able to generate income through your blog, you could become location independent. There’s no reason why you can increase that passive income and start exploring the world or working from home. There are so many benefits to being location independent and your blog might just be your ticket to freedom. I find this happens! I’m continually thinking about blog content and how you can serve your audience better. I’ve generated so many ideas, new products or services through blogging. I also find that it makes me research more. That only helps me, my audience and the business. Your audience will start waiting to see what you release and that will keep you motivated. The last thing you want to do it let them down! There you have it, 15 benefits to blogging that will help you generate more sale and income. If you haven’t started your blog yet, now’s the time to do it!